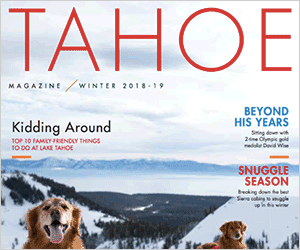 TAHOE/TRUCKEE, Calif. – TAHOE/TRUCKEE – Vans is sounding the call for hundreds of high schools across the country to take part in the fourth edition of Vans Custom Culture, a nationwide art contest. Beginning Jan. 2, 2013, schools can register for the chance to compete for a $50,000 award to their art program and the opportunity to travel to New York City to exhibit their art-adorned Vans shoes at the final art showcase. Vans Custom Culture inspires creativity among students through art and design while at the same time aiming to shed light on diminishing school art budgets. Since its 2010 inception, Vans Custom Culture has reached tens of thousands of students, at thousands of participating schools and awarded more than $175,000 to support high school art programs. In 2013, Vans sets the bar even higher with a goal that more than 1,000 schools nationally join in. In 2013, Vans will donate $50,000 to the school that wins the Custom Culture contest and launch a new partnership with Americans for the Arts, the nation’s leading nonprofit organization for advancing the arts and arts education. Through this partnership, Americans for the Arts and Vans will distribute $2,000 grants to an additional 10 schools across the nation, and Vans will make a $50,000 donation to Americans for the Arts to support their work to create opportunities for every American to participate in and appreciate all forms of the arts. Additionally, returning national retail partner Journeys will award a $10,000 “Local Attitude” award presented to the school that creates the most compelling “Local Flavor” design. From Jan. 2 through Feb. 11, 2013, U.S. based high school art programs can register for the 2013 competition on the Vans Custom Culture website (vans.com/customculture). After registration, each school will be tasked with customizing four favorite Vans styles: the Old Skool, 106 Vulcanized, Sk8-Hi and Classic Slip-On. Students are charged with designing each pair of shoes to fit within one of three themes representing the Vans lifestyle, including action sports, art and music and then also a fourth “local flavor” theme reflecting regional inspiration. After an internal Vans team narrows down the selection, the public will have the opportunity to vote through the Vans Custom Culture website from April 22 to May 13, 2013. The top five schools will be invited to New York City to showcase their designs for the crowd and celebrity judges at a special event in June 2013, where the grand prize winner will be announced. 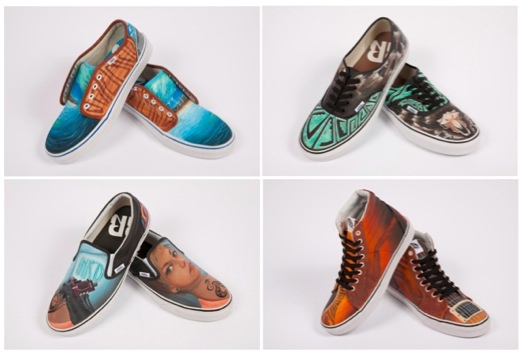 In March 2013, the designs created by 2012 Vans Custom Culture winners Rio Rancho High School (Rio Ranch, N.M.) will go on sale at Vans and Journeys stores as well as the Vans online shop. Rio Rancho claimed the $50,000 prize last year as well as Journeys’ “Local Attitude” award when their designs were recognized among the nearly 900 participants. For more information both students and teachers alike can visit Vans.com/customculture. The website is the central hub for the contest, providing registration information, contest rules, an exciting kick-off video and program updates. Find them on Facebook at http://www.facebook.com/vanscustomculture.